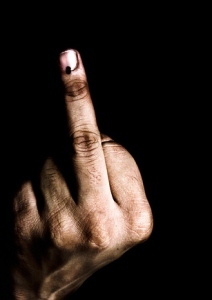 Goa News |Is 35-day long postal ballot secured? Is 35-day long postal ballot secured? This is the first time Goa is experiencing a gap of 35 days between the polling day (4th February) and counting day (11th March). And thus the postal ballot is in the news. Because as per the rules, the postal ballot can be done before 8 am on the counting day by the service voters, who are on election duty. The opposition parties have raised hue and cry over the postal ballots, making a direct allegation against the ‘service voters’, who are educated enough to decide whom to vote, without coercion. But the allegation is that some of these service voters are making money by ‘selling’ their postal ballot to the candidates. Goa’s Chief Electoral Officer Kunal has warned of a strict action if any such incident comes to the light and has even appealed to the parties and candidates to bring such incidents to their notice to initiate action. But more serious than this is the demand coming forth forcefully to scrap the postal ballot system. “Goa election should be included in the Guinness Book of World Records for keeping the voting lines open for 35 days”, says Prabhakar Timble, President of Goa Forward and former Goa State Election Commissioner. Citing procedural lapses, the GF has demanded that the postal ballot system be scrapped. Goa has around 17,500 service voters, out of which hardly 8470 voters have exercised their franchise till date. Total 7260 service voters had voted earlier while only 1210 voters voted on the day of a special camp the election office organised on 18th February for service voters. Around 9030 are yet to vote. “The postal balloting schedule and procedures is a big scam, making mockery of election and Indian democracy”, alleged Dilip Prabhudesai, the GF spokesperson. On the other hand, AICC Secretary Girish Chodankar has made more serious allegation. He claims that the marked electoral roll (of service voters) and serial numbers of service voters are being leaked out to the BJP, the ruling party. “The BJP candidates are phoning up the service voters and telling them even their serial number on the ballot paper. This is direct intimidation of voters”, Chodankar alleged. He has also asked how the BJP candidates could phone up the service voters when canvassing was banned two days prior to the polling day. He has thus demanded that the whole postal ballot system be scrapped and voting be held afresh for all the service voters. As an alternative, he has suggested that EVMs be provided at the offices of all the 40 returning officers on one particular day, before 11th March. Since the local election office has rejected the demand of scrapping of postal ballot, the Congress is now planning to approach the Election Commission of India in Delhi with this demand. Goa is the first state in the world that has postal ballot for 35 days. Goa is the first state in the world that counting is done after 35 days. Goa will get Guinness Book of World Record.